” With 4000 children waiting for a loving home, the Voice In A Million event at The 02 is a fantastic opportunity to really raise awareness of the situation and to encourage potential parents to consider adopting. I myself have been one of the lucky ones to have been adopted by a wonderful mum and dad. I really hope this concert and album will mean these 4000 children are closer to finding loving and supportive parents.” – Toby Anstis (DJ London’s Heart FM). 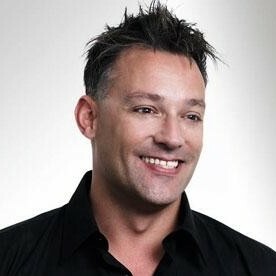 Toby Anstis is a radio presenter on Global Radio-owned Heart Network, where he presents the mid-morning slot broadcast across the UK. Since January 2009, his show has been broadcast around the UK to the former local stations now branded as Heart. Anstis’ first break came when he appeared in The Broom Cupboard on Children’s BBC each weekday afternoon from April 1992 to September 1995. He then hosted The O-Zone music show on BBC2. Anstis then moved into radio, presenting for the Liberty Radio breakfast show, and was also a presenter for various programmes on Challenge TV (such as TV Scrabble), before moving to Heart FM in 2002. In 2004, he appeared in the LivingTV reality TV show, I’m Famous and Frightened!. Anstis co-hosted Children In Need, The National Lottery Live and Grandstand on BBC1, as well as Fan TC with Dannii Minogue and Electric Circus for Live & Kicking, and Bright Sparks. He also presented Trust Me – I’m A Holiday Rep on Channel 5 In November 2006, he took part in the sixth series of the ITV show I’m a Celebrity… Get Me Out of Here! and was the first person to be voted out of the show, although it was reported the next day in various tabloids including The Sun that there had been a voting error and Dean Gaffney should have gone. In 2007, he was a judge on VH1’s Wannabe and featured on The Killer In Me for ITV1 along with Fiona Phillips (GMTV), footballer John Barnes and political presenter Andrew Neil. In 2009, he featured on Ready Steady Cook and The Alan Titchmarsh Show. In 2011, he appeared on the BBC quiz show Eggheads and was the first ever honorary ‘Loose Man’ on ITV Loose Women and made his stage debut as Teen Angel in the West End production of Grease at the Piccadilly Theatre on 25 January 2010 . In 2012 he won BBC 1’s Pointless Celebrities and competed in Celebrity Come Dine With Me ‘s Christmas Special. He was nominated for Presenter Of The Year at the Arqiva UK commercial radio awards in London in 2011.